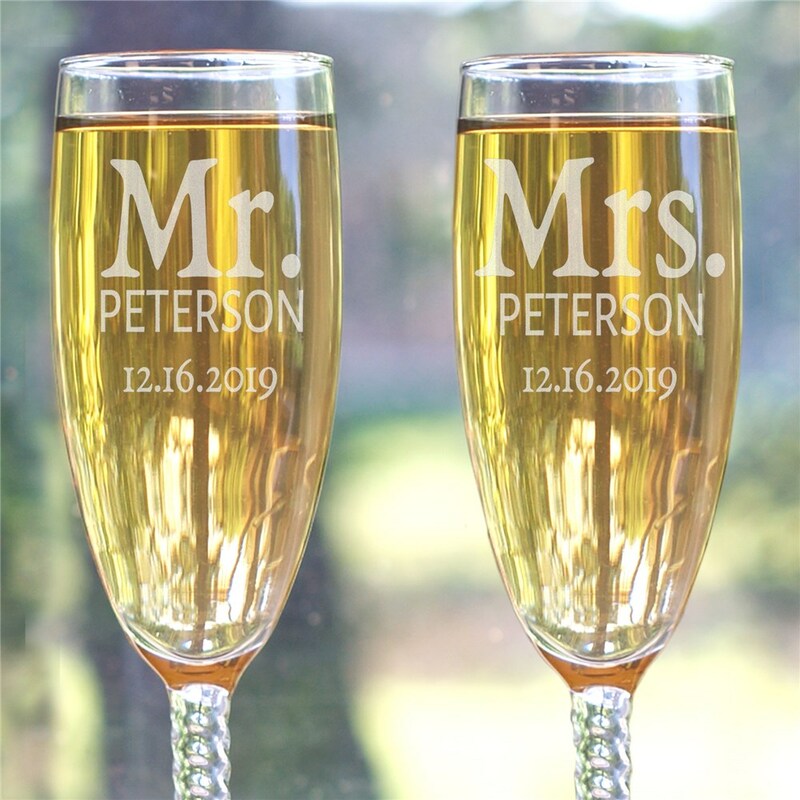 Toast to a wonderful wedding and a new beginning with these engraved toasting flutes. 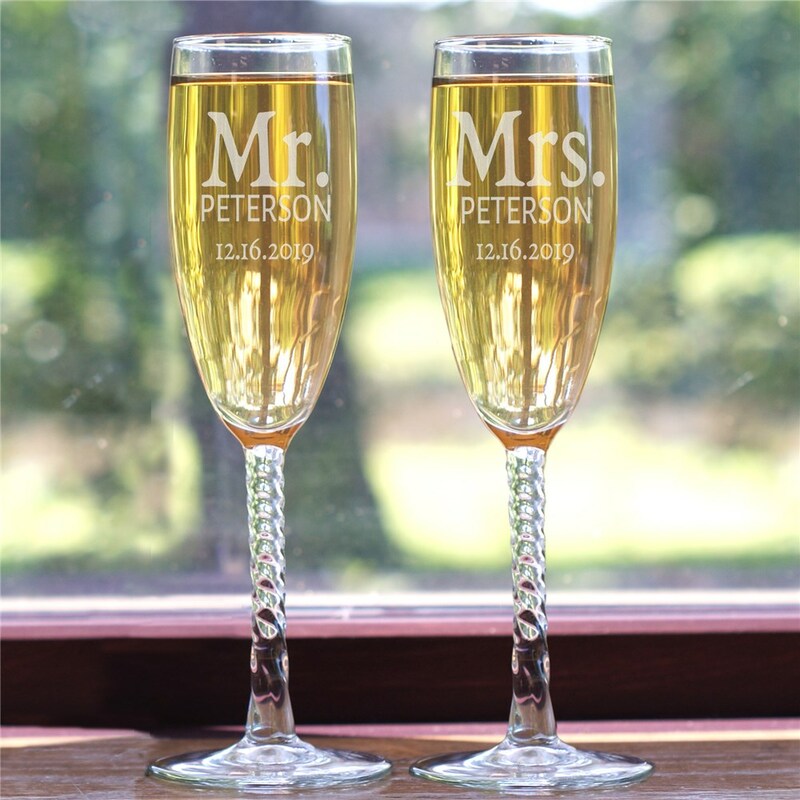 Each flute may be engraved with any name and any date making them a absolute necessity for our any wedding celebration. Measure 8 1/4”H and holds 5.75 ounces.